John Huddlestone is a specialist helicopter pilot. He trained and qualified in the South African Air Force in 1976 at the age of 21. 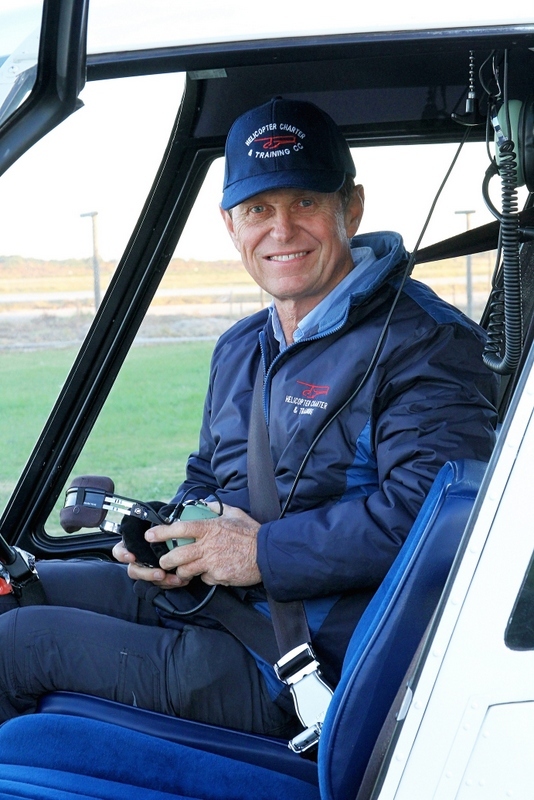 Having gained nearly 40 years of flying experience with over 22,000 flying hours, he has worked all over South Africa, Mauritius and Argentina, and holds ratings on at least 10 different types of helicopters. In the Air Force, John flew Harvard’s, Impalas, Alouette 3’s, Super Frelons and Westland Wasp helicopters and has landed on S.A. Navy Frigates. John left the SAAF in 1980 and joined Court Helicopters in Argentina where he flew to inland oil rigs. In 1982 John moved to Johannesburg to do charter work for Court Republic Helicopters from the Rand Airport. In 1983 John joined Astra Helicopter training school where he worked and trained for his instructors rating. During this time, John was sent on the Robinson Helicopter Safety course in Torrance, California where Frank Robinson conducted the course and Tim Tucker, R.H.C.’s 18,000 hour instructor pilot, taught him the flying portion of the course. In 1985 a great opportunity came his way to initiate operations for Helicopter tours and flips for Air Mauritius and to spray the sugar cane harvest in winter. John managed Air Mauritius Helicopters Inc for a year, and although this was an experience of a lifetime, John also had dreams of owning his own Helicopter Training School. After returning to Midrand in Johannesburg in 1988 John started his own school called HTS (Helicopter Training Services), which he then moved to Port Elizabeth, his home town, where it became Helicopter Charter and Training cc which he still runs today and where he has successfully trained pilots from all over the world. John offers personal training for your helicopter license. He is directly involved with every student and is always hands on with both flying and ground school.